If you've ever had a bad day (not even like November 9, 2016 bad, just regular bad) and felt 100 percent over everything on the planet, then you know exactly how these pets feel. Because they. Are. Done. 1. This cat who is not interested in taking his medicine. 2. This cat who really doesn’t care if you’re judging her, she just likes sitting in underwear, okay? 3. 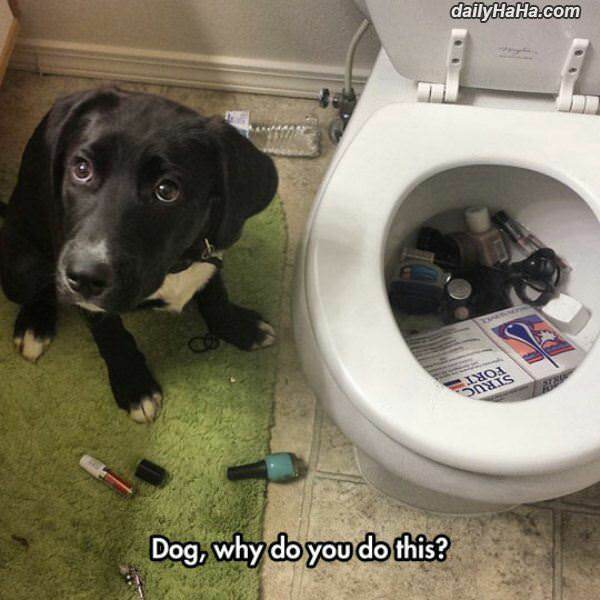 This dog who spent a really productive day putting everything he could find in the toilet, just because. 4. This dog who thought she wanted to play catch and then decided halfway through that it was actually a hard pass on the game. 5. This cat who cares exactly this much about your morning coffee needs. 6. This very cultured dog who hates his roommates *so* much. 7. This cat who is MOST unimpressed by Ariana Grande. 8. This cat who has no empathy for your bad choices. 9. The cat who would rather be a towel than a cat. 10. This cat who would rather lie face down on a couch all day than face any of your nonsense. 11. This cat who doesn’t give AF about five puppies crawling all over her. 12. This cat who found his new favorite chair and doesn’t care if you don’t like it. 13. This dog who could not be more apathetic about playing fetch. 14. This dog who truly can’t even. 15. This dog and this cat, TBH. 16. These dogs dressed as pandas who are dying on the inside. 17. This cat who is over everything forever.